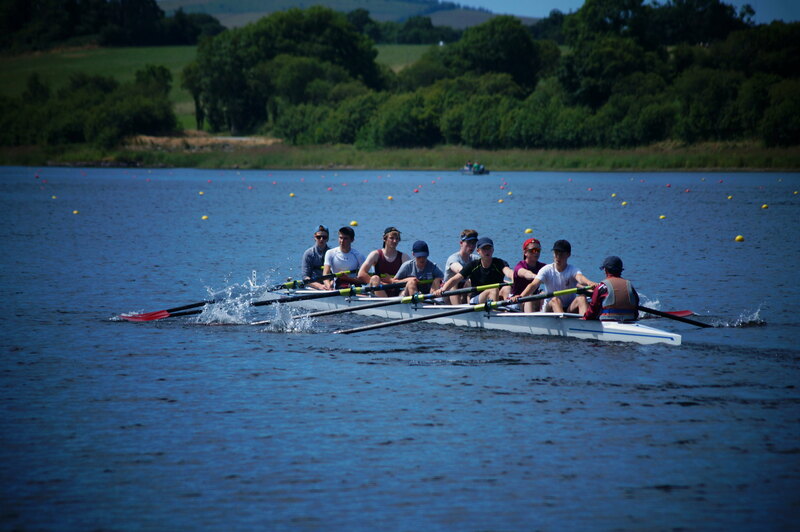 The Cork regatta was held at the National Rowing Centre on the 23rd and 24th of June. 2 days of glorious sunshine and top-class racing made it a spectators ideal event. The CIRC Mens J16 8+ easily held off all competition to finish first, continuing their 2017-2018 unbeaten run. And Caoileann Nic Dhonnacha & Elise Carney-Frazier, who are trying out for the national squad, were the fastest womens junior pair. CIRC's Womens J18B 4+, crewed by Lanah Acton (bow), Hazel McNamara, Kate Hume, Rachel O'Malley Reacke (stroke), and coxed by Katie Ryan also took first place. In the single sculls, Kate Hume (WJ15) and, Tara O'Neill (WJ14) won their straight finals, bringing the total medal tally up to 5. This late in the season, all rowers are reaching their peak and the performances by all the Jes crews are promising. Hopefully they are indicitave of the results we'll see at the upcoming national championships, in the same venue in a few weeks' time.